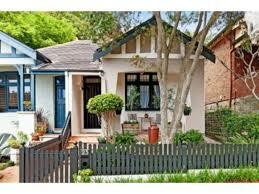 This original 2 bedroom Bondi Semi has been transformed into a gorgeous family beach house. The brief included ample storage, light and breezy and the use of reused or sustainable materials where possible. The carefully sourced spotted gum recycled floorboards set the tone for warm and earthy interiors. Brushed stainless door hardware and bathroom fittings give a rustic/industrial tone, while the grooved doors enhance the beach house feel. Emma loves blues, greens and marine colours, befitting of the location so close to the beach. Lighting, cabinetry, tiles and textiles throughout the house met this passion. The blend of modern with eclectic selections works seamlessly to create a warm and personalised space while being durable and timeless for the long run. Tight on space with the laundry under the stairs, rather than simply a utilitarian space we used feature tiles that reflect the kitchen selection and a ceramic tub. The sage marble kitchen splash works beautifully with the Muuto pendant lights and gives the compact kitchen a story of it’s own. Architect NNDesign created spaces that allowed for maximum light and opportunities for feature pendants and details that enhance the overall design and vibe. Note: This Client is passionate about reducing her familys’ carbon footprint and she has worked hard to source many items that meet her personal brief for sustainability. The seconds bricks were hand selected and she extended over budget to ensure these were used to build the new wall.